Texas as a state has led the way in economic growth compared to the rest of the lower forty-eight states. Some of this is due to Texas’s vast natural resources, such as solar energy, which is one of the fastest growing industries in the U.S and was worth over $6 billion in 2012. According to the Texas State Energy Conservation Office, Texas possesses the most valuable solar resources in North America and is number-one in the U.S for potential solar energy. Obviously then, having interest and experience in the solar industry will pretty much guarantee you a job in 2013. However, if you don’t like the sun there are still plenty of booming industries in Texas and the Dallas area in particular that may be just right for you. The Dallas-Fort Worth-Arlington metropolitan areas have consistently outperformed the rest of the country in jobs added. According to the U.S Bureau of Labor Statistics the Dallas area added 17,800 jobs last year almost entirely in Health Care and Social Assistance. 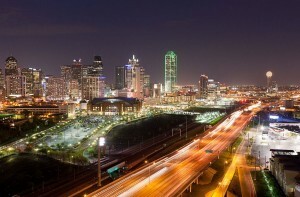 While the national average was just 2%, the Dallas area outperformed with a growth rate of 4.6%. This means that jobs like Nursing, Nursing Assistants, Teachers, Therapists, Social Aides and Counseling are all poised to benefit from industry growth. Many of these Healthcare jobs can be attained with vocational training and would make an excellent choice for anyone looking to switch careers. Just becoming CPR certified might qualify you for some Home Health Aide jobs, which are at the top of the list for fastest growing healthcare jobs. Thanks to huge companies like Texas Instruments, the fastest growing industry in 2012 was Professional and Business Services. This growth is expected to continue into 2013 but at a slightly lesser pace. This is good news for job seekers as Professional Services is a vast industry with a multitude of positions, from Secretaries, to Customer Service Agents to sales to Human Resources and Marketing. This one industry overlaps with so many other industries it is good news for everyone when it grows. After Professional and Business services the fastest growing industries are both Construction and Natural Resources. Natural Resources has been a jobs provider in Texas for years because of the abundance of oil and more recently, natural gas resources. These industries grow at such rapid rates that labor is often imported from other states to keep up with demand. Working in oil fields can be backbreaking and competition can be high, but pay is also good and training can be completed in just a year or so. This industry covers both white and blue-collar sectors, but most jobs will be available in blue-collar positions. This pairs well with the above, primarily white-collar Professional Services jobs in that both types of work are both experiencing positive growth rates. If you are a job seeker and do not have an educational degree or just don’t want to be working in an office all day there is good news for you as well. Wal-Mart, the nations largest big-store retailer topped the list of top companies in the Dallas Metro area again, employing over 32,800 employees, according to the Dallas Chamber of Commerce. Other big employers in the retail industry are both AT&T and Verizon Communications. At the most basic these companies offer retail positions such as retail or back-end management, both of which require little or no previous work experience. There are also opportunities in management, human resources and logistics. Overall, Texas has one of the healthiest economies in the United States and the fastest growing industries in Dallas specifically cover many different sectors and education levels. With opportunity this diverse you need to pull together your resume, seek out positions for which you are qualified and begin the interviewing process. This article was authored by Erik Bowitz is a Senior Resume Consultant at Resume Companion, a leading online resume builder website.